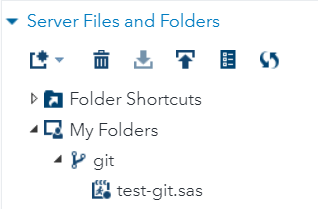 You can learn about the SAS functions from the SAS documentation -- including important details about how to connect SAS to Git. 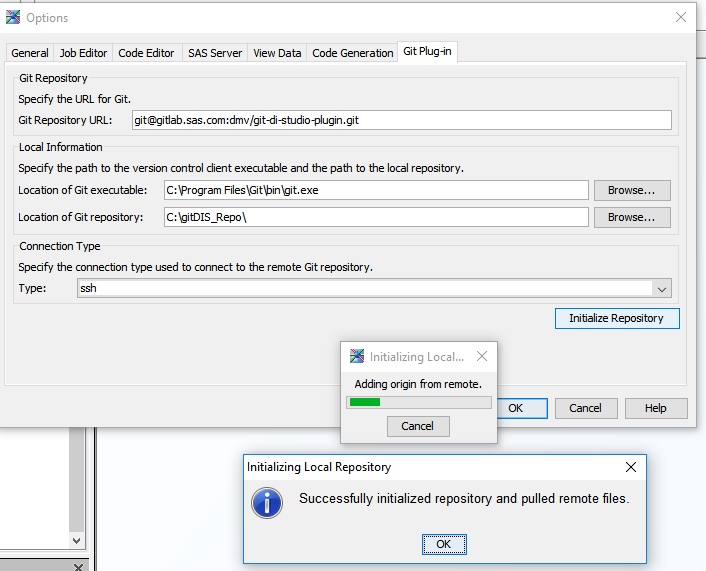 Beginning as an experimental feature in SAS Studio 3.8, you can manage your SAS programs in a Git repository. This integration requires a bit of set up to allow SAS Studio to connect to your repository "as you" using the standard mechanism of SSH public/private keys. Once configured, you can add repositories to your SAS Studio session, fetch the latest versions of files, stage new files, commit files, and see history. You'll see the Git content set apart with a special icon, indicating that it's managed in Git. 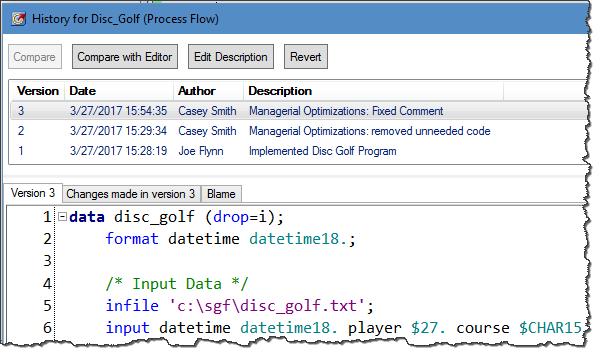 Did you know that you can add custom tasks to SAS Studio? And that you can share these tasks in a central location using Git? This feature has been available for several releases. You can configure this in the Task Repositories pane of the Preferences window. 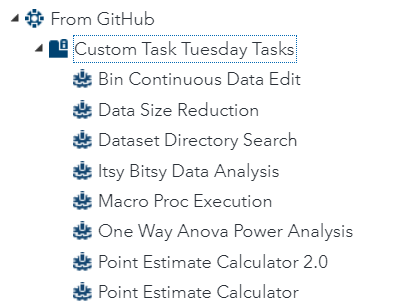 You can try this with a collection of SAS-supplied custom tasks, available here as part of our "Custom Tasks Tuesday" series. This is great! Thanks for the update, Chris. ERROR: Unable to load libgit2 module. I googled that error to no avail; have you ever seen it? I'm checking into that -- looks like SAS can't find the Git library that it needs to interface with Git. You didn't mention your OS and SAS version. Assuming SAS 9.4m6 -- but Windows or Linux or what? And using Base SAS, EG, or SAS Studio? Oops, sorry for omitting that info. Looks like 9.4 m5. Operating System: LIN X64 . If you're running on Linux, there was an issue with loading the git libraries that was addressed with a 9.4m6 hotfix. The other possibility is that your version of SAS is 9.4m5 which has the first iteration of the functions but the git libraries were not being shipped with this version of SAS. The functions in 9.4m5 are not considered production and were not documented for this reason. Very interesting post. I have a question about SAS Enterprise Guide. Is there any option to stop the execution if some of the process flow gives and error? The only way that I can think of would be to add a new node, probably a Program node, to the start of each flow. Then add a Condition to that node to check for an error or perhaps a macro variable flag that you define.